When Sahar was granted resettlement to the US from Iraq, she fully anticipated that her 14 yr old daughter would soon follow. But one year later, her daughter was still in Iraq, where her life was in increasing jeopardy. Her best friend had been kidnapped for ransom and her uncle had been had been viciously assaulted. Fearing for her daughter’s safety, Sahar did what any mother would do to protect a child. At great risk to herself, she returned to Iraq and brought her daughter to Amman, Jordan in hopes of returning to the US from there. Sahar cried as she described how much she missed her child in Iraq, was frightened and concerned about her welfare, and had taken it upon herself to return to Iraq to get her daughter to a safe place. But now, they find themselves entangled in the web that is the immigration and refugee system. This system can be infuriatingly slow and disempowering for the people who are depending upon it, and while they wait for their cases to travel through its labyrinth, their lives are literally on hold. They came to Amman with about $400 and a little money that her sister in Sweden had sent her. When these funds were exhausted, she appealed to CRP for help. She didn’t know what to do and told us how she and her daughter had been staying in the homes of various friends but that they couldn’t continue to do this indefinitely. She described to us their current living arrangements, which were potentially dangerous, and a decision was quickly reached to have Sahar and her daughter stay temporarily at the CRP center. Meanwhile, CRP is looking for a small, inexpensive flat for Sahar and her daughter and will pay the rent and utilities until the immigration matter is resolved. We will also help with food expenses. 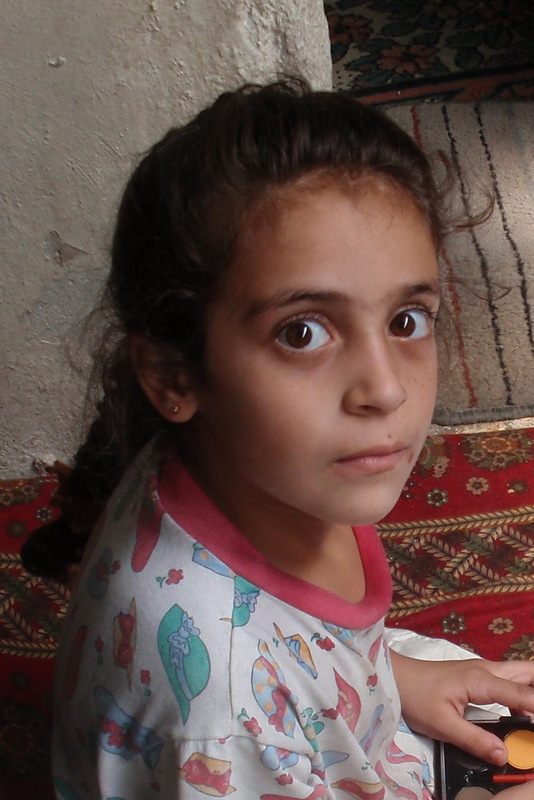 Because she has been resettled in the US, Sahar is no longer eligible for assistance from UNHCR. Sahar also has some health issues that require medical attention and medication. So many Iraqi refugees live just as Sahar and her daughter have been forced to live – like vagabonds, moving from one friend’s home to another, sleeping on floors and sofas with no place to call their own, carrying their few belongings with them.